Home Latests Posts My Interview with Danny Ligairi Badham, actor (Taboo), writer & sportsman. Danny is interviewed by Davina Baynes editor/writer. Danny Ligairi Badham is a British actor and writer, former professional athlete, coach and charity ambassador. 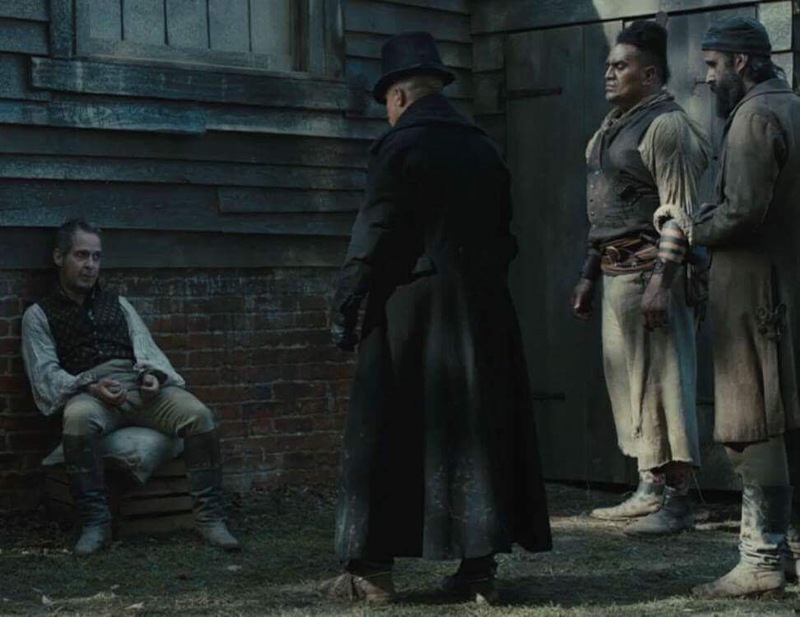 He recently appeared in the TV show Taboo, which stars Tom Hardy. I was lucky enough to interview him. 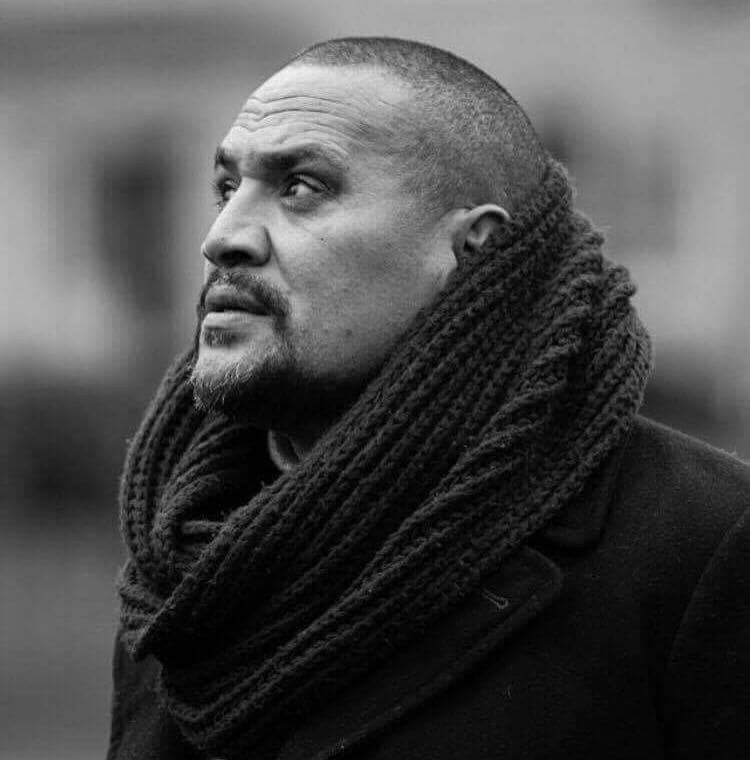 Here he talks in detail about his life with his adoptive parents, his career in sport, Fijian heritage, meeting Tom Hardy, being in Taboo, upcoming projects and much more (including breakdancing). DB: You have just returned from Luxembourg haven’t you? DB: We’ll start the questions but will no doubt detour and meander off down the byways and then come back to the main road again every so often, if that’s alright? DB: Can you tell me a bit about your early life? DLB: As a child? In 1971 I was born in the Hereford Hospital, son of a British SAS colonel and a Welsh/Hertfordshire woman and put up for adoption. My biological father was not aware that I even existed. My views were: cool-squaddie-girlfriend attitude in Hereford, the big SAS thing. I was brought up by a beautiful family in Worcestershire, a beautiful mum and dad and very lucky. 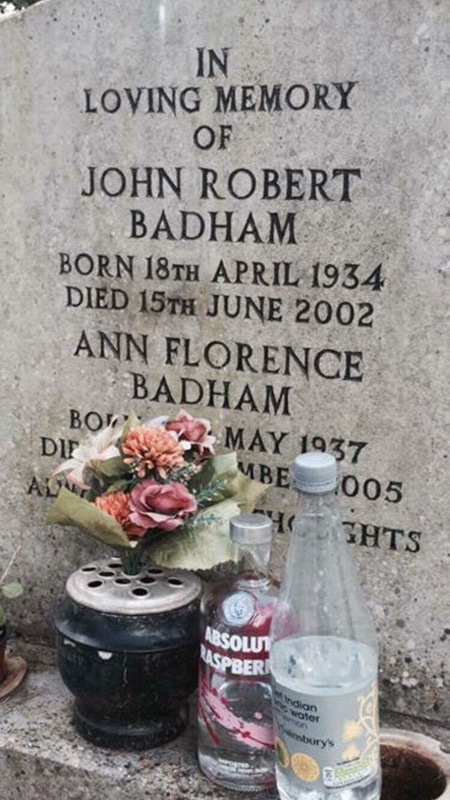 Father worked very, very hard, involved in horticulture, agricultural machinery. Two years before I was adopted, my mum, was on This Is Your Life with her boss; the boss was on there for working in a children’s home. So we linked all those things together: the reason she adopted me was because she felt that she wanted to give a young boy a chance because she worked in a children’s home. And as a child I was, apparently, very sought after because in those days it was a lot easier (it was hard but still a little bit easier than it is now) to adopt a coloured child. I was brought up in Worcestershire, in Callow End, a little village on the River Severn (and I mean little village! It was like Midsomer’s TV series but just no murders). With the beautiful River Severn going through the middle of the village, never any flooding and Worcester at one end and Malvern at the other. I spent most of my childhood there. It’s been an amazing childhood to even have. DB: So you felt really close to your adoptive parents. DLB: Yes, when they passed away I was just heartbroken and I keep little mementos just to remind me how much they worked hard for things. It sounds maybe ‘pretentious’ but mum had a gold credit card, and she never used it, ever! She said, ‘There’s a need and a want. You don’t need to borrow money. If you have to borrow money you’re not working hard enough. You should be paying for things outright. You shouldn’t always be borrowing cash.’ So this is my little good luck charm, just to keep it there to remind me that you can everything in the world, which they did, they – my father, my parents – worked hard and their values. They always wanted me to stay on track even though dad would say to me, ‘You’ll never get your hands dirty, you! Too much of a Mr smooth guy.’ Even wanted me to stop playing professional basketball, on the TV, on Sky, round Europe, to play football for the village team! He didn’t care. And I was a very good footballer as well so…He’d say, ‘Oh you don’t want to do that rugby. You’ll get hurt. You don’t want to do that basketball rubbish!’ He was always asking me to do things, and drop this and drop that, and take up other sports that he liked and enjoyed. When we were children we were doing everything we could. When those lights came on in the streets you knew you had to be home but you would play everything: ‘Army’, you’d play tag, you’d play bulldog up and down the street, you’d be throwing footballs or any type of ball, playing kerby, you’d be playing ‘knock a’door run’ as they call it. You’d be doing everything. You’d be falling out of trees. Kids aren’t allowed to do that anymore. They’ve taken away those playing freedoms. So for me, childhood reflects on my happiness. That I had amazing parents, amazing opportunities in life. My mum drove me…there was a paper article done in ’93 and they called me ‘The Man For All Seasons’ because I played everything and they interviewed me at my parents’ home and the guy opened the door and said he could see up the stairs was a radiator at the top of the stairs with sets of kit. He could hear the washing machine (washing machine noises), he could see the cupboard. It was a nice house but he could see my drying was everything to me. Rugby kit, and I am taking about a full rugby kit, I’m taking about a team; I used to bring my university and my school kits back to wash as well. My mum was…new washing machine at the end of the year…. ‘Daniel!’ But it was all about those smiles. It wasn’t about money. If you could get paid £10 an hour then, that was amazing! It was about those smiles and a childhood that I wanted to reflect, in the way I coached, as a young coach, on what we had as children. DB: Sport has been a really important part of your life. How did you get into it, what sports have you’ve played and what were the levels that you reached in each of those? DLB: People keep saying, ‘Really?’ and you’re like, ‘Yeah.’ I was a high school decathlete at under-16 (qualified for Nationals). I was a typical mixed-race athlete. Daley Thompson (I’ve got to meet as well a few times, I used to teach his kids) said to me, ‘What did you hate about sport?’ I said, ‘1500 meters!’ And it made him laugh because I was exactly the same [as him]. You’d have to do well in every other event so when you came to the 1500 meters, if you came last you’d still have won because you had got the points in all the other events. I had the chance to play at [Aston] Villa as a schoolboy I wasn’t lazy but even at that age I was like, ‘I’m not going to be running around pitches like everybody else.’ It was then I started to think, ‘I’m going to be a better coach and teacher than any of you guys. In any sport.’ It was the case because it isn’t about running around fields anymore – four laps to warm up, two laps shuttle runs – it’s about 20-30 meters and what you can do with the ball in your hand, at your feet, what you are going to do. I wrote a thing saying, when I was younger: ‘what are you going to do when the ball’s in the air, what are you going to do when the ball’s on the floor, what are you going to do when the ball’s with the opposition?’ And that was basketball, rugby or football. And I’d like to say I was pretty much right, as a kid stood there: why would I be running cross-country? I was finding it hard. I wasn’t as big. I was a school athlete: I was playing football, rugby, basketball, cricket, athletics. I hated most sports but I was good at them. What’s the phrase? ‘Jack of all trades, master of none’ but I mastered three. I say now, to the kids I work with, ‘I won’t make you do what I didn’t want to do when I was a kid.’Why are you going make this big lad run around a pitch for? He’s going to hate you. ‘Oh he’s gonna get fitter!’ No he’s not. He needs to lose weight before he’s going to get fitter so we are going to help him run twenty meters, smashing things, pulling things, jumping, helping him up, understanding his body. So, basketball: I got signed for a pro-club, got offered a deal under 18, got offered a contract in America at a junior college to go to scholarship, got offered a rugby scholarship to go to New Zealand. But, if you think about the ‘80s, how far away were those countries, when we were little? ‘What? On my own? On my own?’ I might go now but it was a long way away when we were kids; it was like a two-day, three-day flight wasn’t it – to get to the other side of the world. DB: And to go away from home, away from your family. DLB: 18, 19 and I had a girlfriend as well and, bit of a sad boy really but, I didn’t really do much, I just stayed at home. Basketball: I went to see a semi-pro at a club, went to Spain. Got to Spain, played four months of basketball, missed rugby, started sneaking off and playing rugby in the Spanish league with their training, got bored, went back to basketball. I came back to the UK and did the same again because the amount of imports, Americans and foreigners, even if you are an outstanding British player, they are paying these guys a lot of money, so they usually start the games and you’re the subs. I was still coaching athletics and, during all these clubs and contracts, I’d always wanted to carry on coaching, so they had a double-bonus. In 2000 I went to Harlequins from Worcester. I loved it; I loved more of my spell at Quins than I did anywhere else. To understand: to put that jersey on, you look across the room and there’s people like Jason Leonard, Will Greenwood and then you end up scoring in all your games. When I left Quins and a Wales club where I was on loan, I went and played a bit of rugby league and carried on playing basketball again – returned to basketball for my final couple of years. I played pro-basketball in England for the two biggest clubs, Manchester Giants and Birmingham Bullets, winning pro-titles with those in the British Championship, which use to be on Sky. The one joke is that, when I was at Bullets, I knew I would be on the bench that night so I thought, ‘Oh, I need to keep fit.’ So I went and played rugby for Worcester second team. Low and behold, I washed myself (quickly showered) jumped into the car and drove up to Birmingham. Sat there, Sky Sports is panning past all the players sat on the bench and we looked down and I’ve still got dirty knees! (Both laugh) Oops! So I had to blag my way out of that quickly. But that was the realisation: I wasn’t enjoying it and I needed to go and play for a same-sized club which was Manchester. We had Adidas contracts, MTV, velodrome training. We had the Nymex Arena (which is now the Manchester Evening News Arena) so we played for thousands of people – what an amazing experience! It has given me a real opportunity. Commonwealth Games, Manchester: two phone calls on Father’s Day – one to tell me my father had died on Father’s Day (my English father) and the other was saying, ‘They would like to invite you along to join the team at the Commonwealth Games. We’re not sure you are going to be able to play but you can be part of the squad.’ So I stood alongside the likes of Serevi – the greatest sevens’ player in the world who every back wants to be – and I spent two weeks in the village and they came to my house in Manchester (I had relocated) and built a lot of friendship up. A lot of boys knew that I was good but they knew – because I’ve got a British passport – that could be a time to get them in, but to stay in the village, attend all the events, be part of the team, get your kit, go and talk to children, be treated as one of them was an amazing experience. If I can reflect in this…it was a bit surreal that was as well, to be able to stand there. The only thing that stopped my playing full caps and full internationals for Fiji was basically politics, the logistics and passports, not about my ability to play. Even now I am able to play but the big thing is coaching and development, where I know the job inside out. They can have the rules and regulations but they can’t teach me how to inspire a child to: pick, bounce, kick, run or jump. They don’t need to teach me that and that is something I always wanted to be: is a role model. I didn’t have to be the greatest, it was all about…someone said to me about 4 years ago, ‘You must make a lot of money.’ And I said, ‘No. It’s not about what I make, it’s about the difference I can make.’ And if it can pay off, it can pay off and if it doesn’t, it doesn’t. DB: For any youngsters starting out in sport: what would you want to say to them? DLB: Play everything. Go and play everything. Don’t let anybody tell you what to do: if you want to walk, walk; if you want to run, run; if you want to climb, climb; if you want to jump, jump. We have laws – and we have to follow those laws in sport – but there is no law that tells you, you can’t do anything and you should be allowed to…everybody is made differently. If you’ve got an athlete, or if you’ve a competitive edge, you are a sportsman. If I watched a dinner hour I would see who the sportsmen are: I don’t need a PE lesson because you will see the eyes, you’ll see the want, you’ll see the strength. I think that identifies the competitive edge that is needed. Most of all, they have to listen. It’s like that Gordon Ramsey tag I got 7-8 years ago, ‘Nobody governs me, but I do know my job.’ And I do know how to bring up a child to make sure that they’re not the best athlete, they’re the complete athlete, because children need to play everything. DB: You mentioned about your father (not your white father but your Fijian father) and connections with the armed forces. Could you tell me a bit more about that? The funny thing was, looking at the ‘70s and ‘80s, when I was a child, my English parents knew who my dad was (as in my background) so I used to go to Army tattoo and Air tattoo events, Army shows, not knowing…I love the Army, I loved Scouts and Cubs, I loved hide and seek games. When we were playing ‘Army’ as a kid, guess who was the leader? Me! (Laughs) And guess who is making the rope swings, the abseiling tower: not realising that my father (my biological father) was in Ireland fighting the IRA and in the Arab nations and Borneo… not realising that would be a trait that would be in me. I played British Army Rugby League as a guest in their Vets team and was very honoured to go up there. I got a jersey presented to me the other week by a colonel who actually served, I believe, with my father. 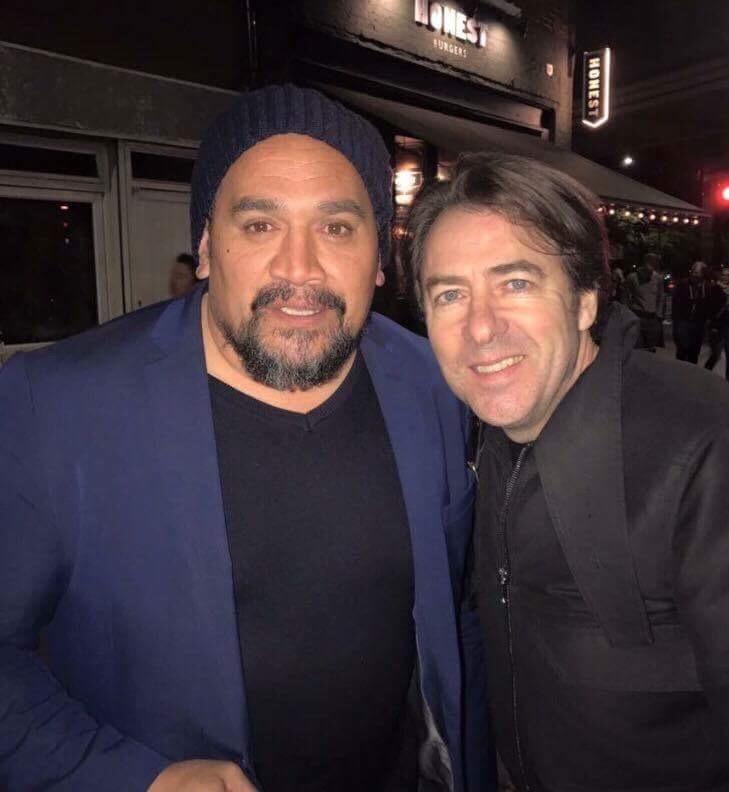 In 2011 I met a Fijian in a bar who was working security in Surrey (I think it’s near one of the bases) and I walked in there [the bar] and he said, ‘You’re him! You’re him!’ It was like a scene from Coming to America, where the guy runs up to him and says about him being the prince! I was like, ‘What? 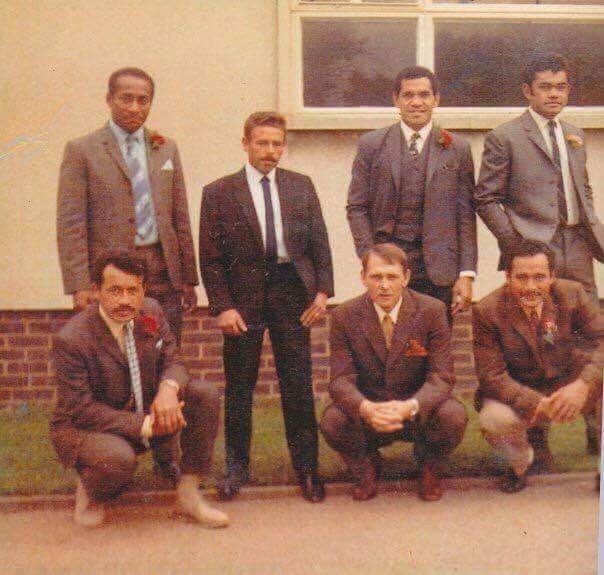 What?’ And the guy came out with these words – which actually I have kept and copied them out and he text them back to me and I’ve used it for the film [ more details later] – ‘As children we were told stories and legends of seven men that went on to be heroes of Fiji. I am very grateful to have met the son of one of those heroes. We were told these as bedtime stories.’ And I had goosebumps. Those are some of the things I have taken to the storyline for the upcoming movies and stuff we’ve written. You go and see the Fijians: 333 islands, 800,000 people there, 3,000 Fijians in the British Forces, 5,000 in the United Nations around the world, smallest rugby nation in the world, greatest 7s players in the world and the 15s are starting to do better now, they’re in the top 10. Some of the best rugby players in the world are Fijians or Samoans or Tongans and they are amazing to watch. The history and stuff like that, I’m speaking to the producers now, just like the Six Days movie with Jamie Bell (from Billy Elliott) and a guy called Rusty Firmin. Now when that was being made, I actually stood and told Tom [Hardy] on set last year, he should be in that, and he didn’t know anything about it. I’m in touch with the producers now. What I’m targeting are the same people who did Saving Private Ryan and Band of Brothers so I’m thinking of Six Days, hitting the same people up, bringing in the others to do the history of the SAS with those seven Fijians arriving. The military side of it, for me, is a boyhood dream. Forget the sport, I wanted to be a soldier! I even had a gas mask as a kid, balaclava – my mum used to say I looked a bit dangerous and that I was going to mug somebody – but I used to fall asleep in my army gear as a little boy; I used to play with Action Men. DB: So in you, you are saying it was kind of innate. You weren’t even aware but that’s what appealed to you. 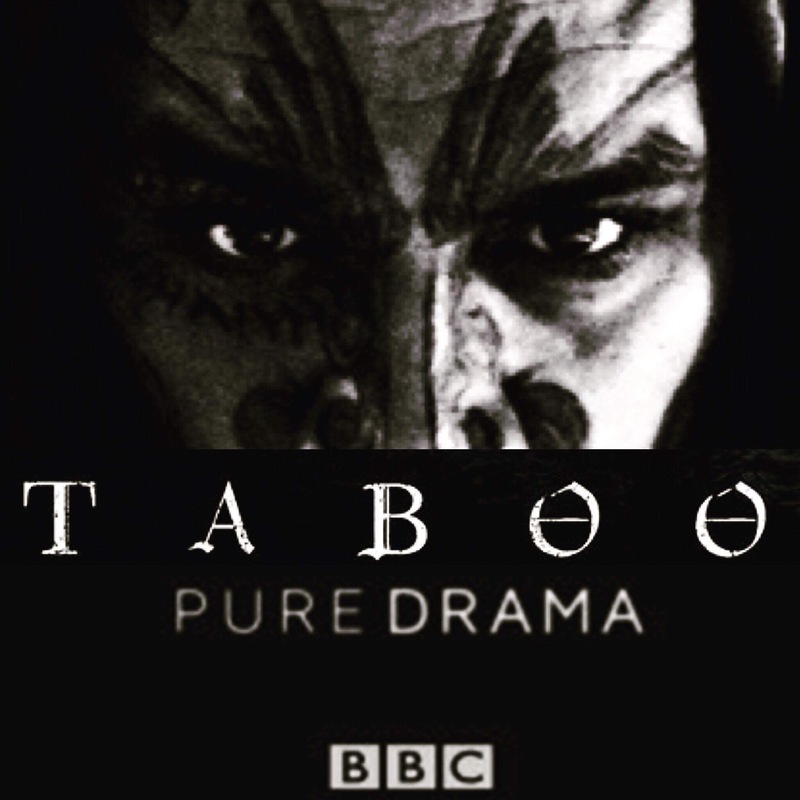 DB: Your life took a turn away from the focus on sport (to a certain extent, not completely) when you got the part in Taboo, which stars Tom Hardy. Can you tell me how it came about? DLB: It went back to sport. I’m teaching my young kids in two big camps 2012-13. As I am teaching, this dog interrupts my lesson and the kids are going (whispers), ‘It’s Tom Hardy…It’s Tom Hardy… ye’know Batman…This Means War…’ and I went, ‘Who? Tom Hardy? Doesn’t he play for England?’ And they’re like, ‘No, you idiot! That’s Tom Croft!’ I turned round and this guy just smiles, with a beard, comes up and he said, ‘Mate, I’m really sorry but dogs know good people.’ Because the dog interrupted my lesson. Now I think it was Woodstock, because of the time period, just having a wander. The second time: 2013 in June, I see people looking at me and I look round and this mountain bike pulls up – he gets off the bike and says, ‘Hi Danny! How are you?’ And I was like that…(lengthy pause). He says, ‘I saw you. Just gone past in my car. I thought I’d come and talk to you and say hi!’ And he said, ‘Here’s my number.’ And I said, ‘What?’ He went, ‘Give me a call. Anytime.’ He was into guns then, into the SAS and I had told him who my dad was and he did a bit of research and said, ‘Wow! I know who your dad is!’ So I said, ‘If you ever want do anything like that, let me know.’ And he said, ‘Well, if you ever want to do anything, let me know.’ We had a lot of chats and a lot of interaction – texting and messaging – and I wished him good luck with Mad Max and he said, ‘Thanks a lot fella. Blessings to you and your family.’ I think he had just had just had a little boy from his former partner at that time. I think that was 2013 and I knew he was filming in Romania (or wherever it was) for Child 44, so he told me about that. And that was it. Then last year, January time, I get a phone call, ‘Tom Hardy wants to see if you want to be in a film.’ And I was like, ‘Yeah…somebody’s pulling my chain somewhere around here.’ Then they went, ‘Look mate, we aren’t joking. Tom Hardy wants to know if you want to be in this TV series with him.’ Then Ben Harrison phoned up (the second AD or whatever it is) and said, ‘Can you come to London this week?’ So I thought, ‘Well, I’m coaching at school. I’ll get the train down.’ I had just got a text message from a nagging big brother going, ‘You need to stop your rugby. Stop living in the past. You need to turn around and start teaching properly and get a proper job.’ And then I get that phone call. So I think that was fate! And I went down: shown trailers for the makeup people, shown my changing room with my name on – I stood outside it and I’ve got a picture of me going, ‘Who’s this guy?’ ‘He’s a runner.’ ‘Who’s he?’ ‘He’s security.’ Tom was on set at the time. Met everybody. Talked about the tattoos. They didn’t know what tattoos to do and I just said, ‘Can’t do that. Can’t do that. That’s modern Polynesian art. Macronesian.’ And they were listening to me and were like, ‘What?’ I had a lovely, beautiful relationship with the make up girls. They’re the chief, these are the top, top make up artists. They were my best friends for six months and I was very close to all of them now. Because they said I came up with everything: the hairpiece, the comb (I chose all that), the tattoos and what they would mean – this was just from me researching, from me knowing what was good. 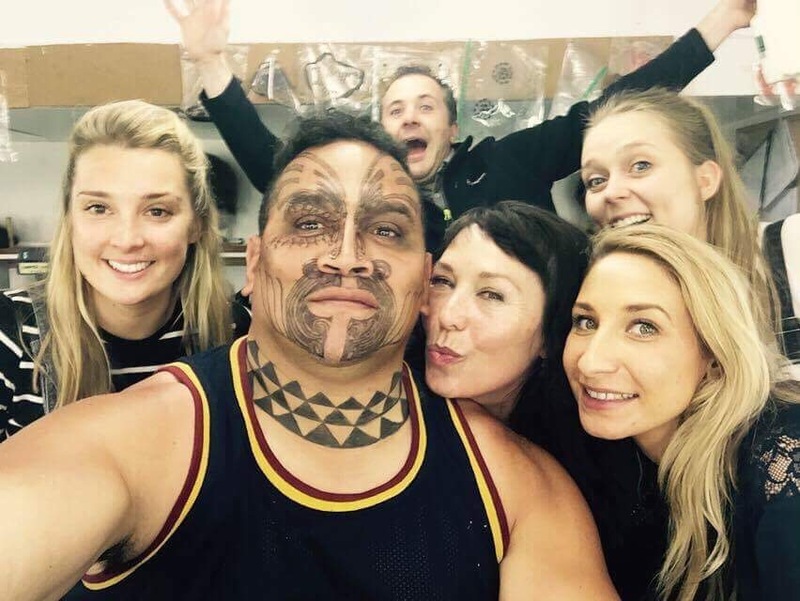 Even Stephen Graham, I said to him, ‘He needs that on it.‘ And he said, ‘What?’ And I said, ‘ The triangle tattoo because that’s a Fijian one but it’s about urhana which is all about family.’ Stephen’s character [Atticus] is supposed to be my brother-in-law. Well Polynesians are very protective. And I said, ‘Well I’ve seen all the scenes, all the storylines, Atticus wouldn’t be out of my sight.’ That make sense to you, thinking about it? And you saw me next to Atticus quite a lot on set, didn’t you, in the show! The character…I was only supposed to be in certain areas of the thing and I ended up in being in six episodes over six months. When I finally got to see Tom to show him my tattoos: he’s in a towel, naked in the changing room, and he comes in and gives me a massive hug! I’m like… I had hair like this, because I had been coaching in New Zealand that year. We talked about the wig piece, what costuming and they said, ‘Right, do you want to wear big long leather boots and a big sword?’ And I went, ‘I’m an Islander. I wouldn’t carry a sword! Pistol? Probably not. I’d have a small dagger: to open up my oysters or my mussels, gut the fish. I’d have a wooden hammer.’ Which is what I used in the film – the barrel scenes. So I had a huge input. While this is going on, I don’t realise that there’s a bit of a crazy atmosphere going on in the background, regarding me with films and stuff like that. I’m getting asked, ‘How long have you been in filming? Wow!’ Oona Chaplin comes and sits and talks to me, ‘Hi! You’re the guy with the funky music in the changing room aren’t you.’ So she comes to talk to me – she’s swanning around in a onesie. It was like they asked, ‘What accent do you want?’ And I went, ‘There wouldn’t have been an accent in those days. 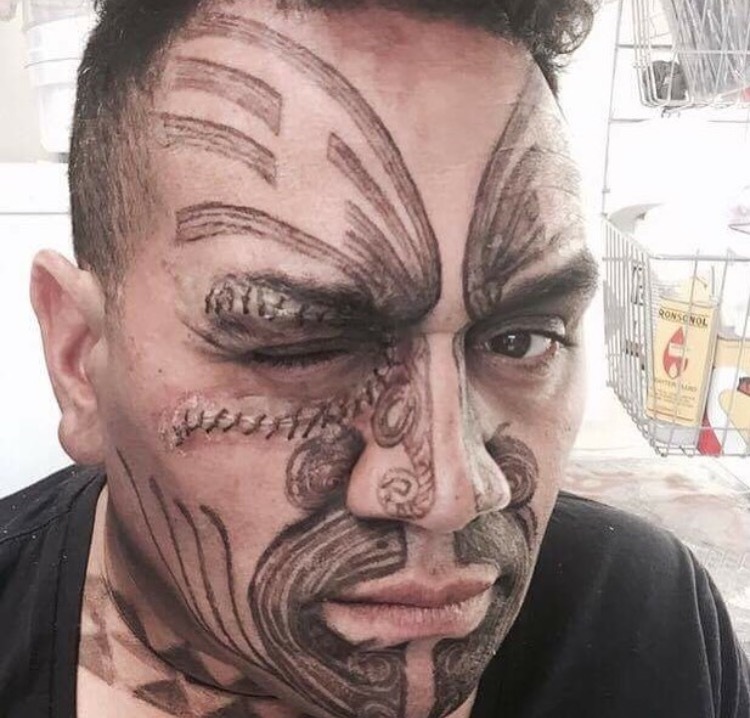 Maoris, Polynesians, there would have been just a grunt or a look.’ So I thought I’d just do the eyes, and the pout and sticking the hand out. Those actions were all mine. So I was like, ‘You created that, producing your own character. You designed it.’ We had a couple of lines to do but we just didn’t do them. I struck up a hell of a good friendship with Godfrey [Edward Hogg]! I was like, ‘I’m walking off the boat with a mollie. Now am I going to get some flak for being with a gay person?’ Me and Ed Hogg are very, very good friends. Brighton played by Fiona [Skinner] – I’d see people ask, ‘So who’s that woman who shot at them and spooked them all?’ She’s out of Call the Midwife, she’s in loads of stuff, stage plays…she was my best friend. She was just frustrated because she’s having lines and she chose the character because it was going to be female, they paid her a lot of money, but people who weren’t suppose to die (in the original script), died. But she was great! I learnt a lot off Fiona. I stayed very friendly with all the cast and more with the people on set, the people who are ‘nobodies’. I encouraged everybody to eat out of their trailer with the rest of the ‘normal’ people – the extras, the crew- having dinner in the sun. I got out of the trailer and they were going, ‘What are you doing? What you doing?’ I said, ‘I’m going to sit over there with them.’ They were like, ‘Are you okay? Do you want anything?’ And I’m like, ‘No. Come and sit down.’ It was amazing! It was an amazing six months! When I got a phone call the other week, from the Ridley Scott studio saying, ‘Right we need to make sure all your bank account details and stuff are in place.’ I asked, ‘What does that mean?’ People and agents were saying, ‘You’ll start to get some money soon.’ Because actors don’t get paid much until the film is sold, unless it’s in the agreements upfront. I was learning. DB: It sounds like you had some really nice mentors, in a way. DLB: If I can mention this…first scene, what was I in? What was my very first episode I was in? DLB: So here you are: two weeks before I’m on set, ‘Can you practise rowing a massive boat?’ So there I am, rowing a boat, practising on the [River] Severn. Matthew Pinsent, Redgrave – nothing on me! I am a Polynesian! I can do this! Yeah, I turn up and there’s a 12-foot dugout canoe! It’s not even a boat! So you have to paddle it both sides, it’s got buoyancy aids and there are supplies on either side. Stephen Graham and I are getting on really well, we’re chatting – he’s on the front. So anyway, I’m paddling…I’m towed out 60 meters, for that scene. I had a go and I’m pouting because I’m thinking, ‘This is my job.’ All I can hear is, ‘There’s a bit of interference. A bit of interference guys. What’s that noise?’ And all you can hear in the background is…’da da da da da daaa, da da da da daaa.’ I’m humming away Hawaii 5-O! I’m going, ‘I’m getting that boat in to the dock in one take!’ And I did it. I did it in one take and I got around of applause for that one. I was in Manila, playing for the Barbarians, and I got a phone call saying, ‘You’re going to thieve off people, or going to have your thumb chopped off, or be gutted.’ I went, ‘That wouldn’t happen and I’d kill him anyway.’ Polynesian culture prove (and that’s why they joined the British forces in the ‘60s) they are honourable, loyal, humble, trustworthy. We’re ultimate sailors. Look at the film Moana: the best thing in the world about Moana is, it tells you the truth about Polynesians. They are big blokes but they are humble and loyal. That’s why we say that if you go into a bar and you’re friends with a Polynesian, you leave your wife there and go to the toilet, and you come back out and a guy’s chatting up your wife, the Polynesian’s probably smashed him in the chair and said, ‘Don’t talk to her.’ And I was explaining that to them. I think it came to the scene at the end, where Rob Parker turned up on set (he’s a friend of Tom’s). We did the rowing scenes and the tunnels where I’m having a drink with Tom Hollander [Cholmondeley]. Tom Hollander, to me, is the East India Company, Pirates of the Caribbean, that’s what made me laugh. And Jonathan Pryce was the goodie but he’s…they had switched roles, hadn’t they! We are on the set in Reading, and I get there and they’re all chilling out and I’m looking round and going, ‘Oh my word!’ And they’re like, ‘Danny, you can’t be in set!’ And I’m like, ‘I’m an actor. I can be where I want.’ I was getting divaish! We were on the set of The Eagle Has Landed with Michael Caine etc. I drove past that house and I’m looking and thinking, ‘That looks like…’ I’m quickly on my I-phone and that house is there! Everything is within 300 meters of each other. The whole film was filmed in 300 meters. Manor House, church, mill, water mill. So I’m running around like an amazed child going, ‘Do you not know where we are?’ And they were like, ‘No.’ I said, ‘Eagles Have Landed!’ And they were, ‘Wow!’ Tom Hollander starts walking with me going, ‘Danny, you’re an encyclopaedia of films.’ I was like, ‘I sound like a nerd.’ He was so funny! DB: I heard him on the radio a while ago and he was hilarious! DLB: He’s cheeky! He’s a cheeky bloke! He was funny! I wouldn’t be surprised if he wrote those lines. DB: I think it was around the time of The Night Manager. DLB: Because he was a bad boy in that! The thing is we were filming that while The Night Manager had just been released, because we were all rushing back to the hotel to watch it. I loved it because Tom Hiddleston is ace! He should be the next Bond – he’s just not as muscly as the others. I told them you could have an Armageddon/Usual Suspects-style poster with Pip [Scroobius Pip – French Bill], me, Brighton, Atticus (the small man, the Bob Hoskins-style attitude) and people loved that idea – I’m trying to get a picture of all the different heights for the League of the Damned, to make that poster. So you’d have Tom in the middle (in silhouette, with his hat), Godfrey in a woman’s dress, myself, Pippy. Imagine that as a poster with The League of the Damned on with all those characters in silhouette! Maybe we’ll go back in a dream sequence to how Atticus and Martinez are together. I actually showed them a picture of the other half, Nina, and went, ‘Why don’t you have that as a sequence where Atticus is with my missus?’ because she’s Polynesian as well. It’s been a hell of a ride and to be in those groups has been amazing. To see how much support that I got, as that character. The Americans have loved it. I did a couple of podcasts in the States and they loved it and they asked if I got killed and I said, ‘I don’t know. It says I got killed but… did you see the body?’ Tom said that in the press: he said that a lot of people got killed but did you see bodies? There were a few funny scenes. We had a big dummy that we had to throw in the water (like a life-like body) with a bald head. In one scene we’re in The Dolphin pub and we’re all stood there waiting to come out the door, and we hear a bang on the door and then the shutter would open, and Atticus’s head would come out with, ‘Right. What’s up?’ But while we are doing the filming I said, ‘Get the dummy, stick its head out door,’ and it was hilarious! Stephen said his line and then the dummy’s head stuck out the door. Some of the producers were, ‘We haven’t got time to mess around. We’ve had a storm that’s destroyed our set already.’ But we’re giggling. Tom Hollander may have had his affair with Godfrey but I think I was the main guy there – I think Godders had his eyes for me! DB: Did you have any direct scenes with Tom himself? DLB: I was the painted man! It made me laugh because Tom’s such a lad as well and he’d walk up and say, ‘Alright! Give us a hug. Kiss.’ And he’s so tiny! He’s been bulking up for other roles. He’s not a big guy. And looking at Tom Hanks when he was upping and downing his weight for all the filming, he’s got diabetes now. DLB: We were supposed to film in American for a Western and I got back on a horse and I was a pretty good weight at 19-20st and that was okay. So I was practising, accents and stuff like that but I couldn’t lose weight, because when I got back I would be having to put that weight back on and it’s going to make me ill; because it’s just not what the body’s about and that’s from being sport’s educated as well. But that’s the actor’s world and I’m in the sports’ world. DB: And even sport has its issues. I mean we could talk all day about the issues that sport has. DLB: I watch all the actors, doing this and doing that, and I think, ‘Okay, maybe this is something I might have to do,’ but then I got told…I was asked, without being in The Spotlight, to be alongside Viola Davis, in that series, the American series of Widows and they wanted me to be her big bodyguard. I wasn’t big enough…They came to me because I say 6’3” is a good size but I’m, actually 6’3”-6’4” and twenty stone and I still play sport. To Americans, that’s not big enough: they want 6’7”. DB: They want the ones who look like they’ve come out of American Football, don’t they. DLB: The offers have been rolling in and it’s a case of not nailing them all down, if that makes sense. DB: Funnily enough that was my next question. DLB: If you type my name in, Game of Thrones comes up! On Google. I’ve never mentioned to the public about Game of Thrones. I got offered, would I be interested in four episodes of the six (seven or eight) but there was a lot of delay, because it was still a mild winter in Ireland and the show was delayed all last year – so we didn’t nail it down. Then we did Captain America: Civil War [the premiere]: Robert Downey Jnr, Chris Evans all of them! And then I had a penthouse party, in Chelsea. I’ve got my own entourage! So there’s Andy, who I knew from school: he sorts out all the accommodation for the premieres (my biggest rival at football at 10-11 years old), through his bonus points he uses. He sorted out us this penthouse: glass roof, room enough for a hundred people. The global CEO at Disney (which I was discussing), I do know, is my friend from school who I grew up with, my next-door-neighbour. He’s the one who turned round and said, ‘I’m not going to wind you up. I’m not pump you full of it. You’ve got a massive opportunity. I’m not saying it because you’re Dan. I’m not doing it because we grew up together as kids because I can’t be seen to be [giving] pipe dreams,’ – because he’s the boss. The CEO – the Global Creative Director- at Amazon, is one of my kids’ dads who turned round and said, ‘We’ll help you make a film about the SAS and your dad and that lot. We want you to write the seven-part series, we’ll sign you on for that.’ Wow! Another of my friends, through rugby, gets all the lease cars, so he arranges all the driving. (Laughs). My rugby mate, who’s an agent in rugby, is now my manager because I won’t have an agent. It’s great experience for him. So we have this entourage – it’s like the series! DB: You’ve got your own League of the Damned! These are all rugby players and sportsmen as well but do you know why they all help me? Not for the glory but because they know that I’ve helped everybody else in the past. And they said, ‘Danny, you always helped everybody else, if I can help you, I’ll help you.’ And that’s what they do. Real issues, they deal with it and take all the weight off my shoulders. It always sounds more professional if an agent or a manager phones up an hotel. I get back from Dubai, after winning the championships, to a phone call saying, ‘I’ve sent the tickets through to you but it’s not two days’ time, it’s tomorrow.’ The major premiere of the year: Rogue One! I went to I-Max and asked about the red carpet and they went, ‘No mate. No red carpet but the after party is the biggest thing we have put on all year. It was in the Tate Modern gallery, underground, storm troopers everywhere. I’m having a drink with Forest Whitaker. I’m sat chatting and being introduced to all the film stars. Anthony Daniels, C-3PO, looked a bit wary of being spoken to and I said, ‘I’m really sorry but I’m your age.’ And he said, ‘What? I’m 70.’ And I said, ‘No, but I grew up with you. I’m 45.’ And he said, ‘My God! You did!’ I am not a Star Wars nut. I am Star Wars! I got to take my son, Gary, with me. I bought him: jeans, shoes, jumper, trainers, black suit, jacket so he would look cool. Then we got back after Christmas and we’ve had: Denzil Washington, an opportunity to be in Equaliser 2; Viola Davis with the new American version of Widows; a Western called Hyde Park which was all but virtually done but I just couldn’t get to it (but I was going to do it for free and they could pay me when the thing came out because I need those ‘credits’). We got about Game of Thrones: they aren’t sure but I’ve got the email and it’s amazing to see it…to even be considered! The Spotlight, the directory for the world for film, I’m not even in it, even though I’ve done enough stuff through interviews – by papers, radio, anything like that, podcasts – that counts as your credits. We didn’t know all that so we’re just taking our time to do it at the moment. DB: Well it’s all new. It’s nothing like what you were doing before. DLB: Publicists and agencies are coming after me because I got ‘that look’, British up-and-coming actor, cheaper than the big stars. To me, it’s like playing rugby: I’ll do it for budget because money doesn’t phase me. Various companies have wanted me to do adverts but I just couldn’t nail it down because it costs money to get there, to do it, if I don’t make it…If I’m in London it the South, that’s fair enough. I got picked for two parts of a Lord of the Rings-type film as well, just to play an orc or something like that, and I was figuring I’d take them. They said, ‘Why? We want you to do speaking parts.’ I said, ‘But I’ve just been in a 7.45 million viewed TV series, per night. I’m pretty sure I can cope with not saying anything. So I’ve got the accents right. I’ve been doing: Western, Welsh, Northern, Arabic, Mexican (a bit of an Hispanic accent). People have been saying, ‘But you’ve had no training.’ But we’re boys and we put on accents and things. Back to the rowing scene [in Taboo]: I had learnt everybody else’s lines. So that’s where people were saying me on set things like, ‘You’ve got this pretty much down to a tee love.’ First day of filming I’m there with no shoes on, like a Hobbit (because I had decided not to wear shoes in the boat) freezing! I’m in the middle of finishing off writing for the Amazon series ready to put in front of the directors. They asked why I picked Tom and I was saying, ‘No, Tom would want to play an SAS hero. Idris Elba would play a British-Fijian SAS hero.’ And they were like, ‘No, but they can’t, because they’re busy with filming.’ And I went, ‘ This will take two weeks, max. It’s a series, so they can film all their bits quickly.’ People were like, ‘You worked all that out?’ And I was like, ‘ Yeah.’ Because I learnt so much: I watched while I was on set, how they were doing stuff. Looking to Hiddleston coming to playing Captain Mark Healey, former SAS officer, because when I looked at Hiddleston in War Horse, he looks good in a uniform, as a British officer. 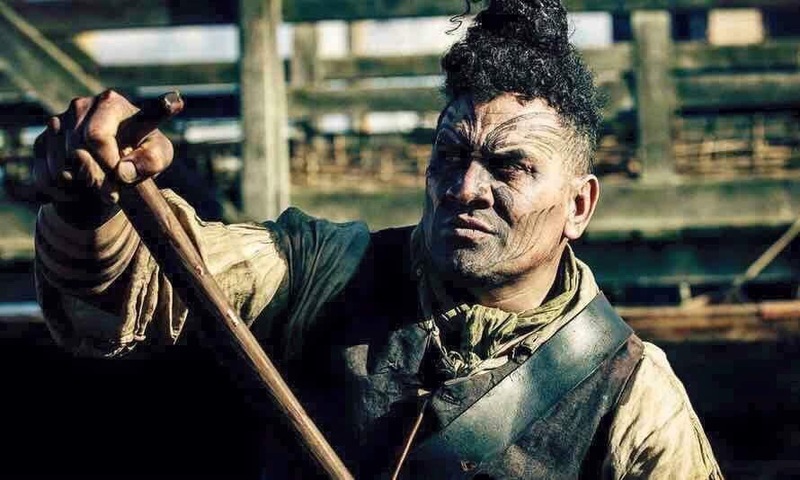 We’ve already spoken to the actor who was in Ghost in a Shell, a Fijian who looks a bit like my dad, and asked him if he’d like to be involved, in playing my father in the series. ‘Yep!’ Straight away! Tweeted it, even said himself that he is excited to be linked with this – to even be associated with this idea. Because it’s a bit historic: the Queen called her seven Fijians her ‘Black Knights’ because they were heroic. It’s going to take some time and it’s very surreal. DLB: On set they were asking how long I had been doing this and I would say, ‘Two weeks,’ and they were surprised. (Laugh) My friend’s out in America – he was a teacher with me at school, teaching acting, he was in McDonald’s adverts, Burger King adverts, whatever – he’s an actor now in America and whatever he earns, he’s earning enough to pay for his place, his dog and his mum’s travel back and forth, so he can’t be doing that bad. It is a life. It is something different. It is something exciting! Even just going to these premieres I’m just buzzing. This is ace! Wow! DB: Who would have thought? DB: So when you were a kid, how important were movies and the TV to you? DLB: I haven’t mentioned this (I had forgotten), I had tears and goosebumps when Edward Fox sat next to me in the trailer – and this was before anyone else was there because he came in for his makeup and they went, ‘Mr Fox is coming on set now!’ And he sat next to me, and I said to him, ‘Excuse me. Can you tell Edward it’s an absolute pleasure to sit next to him.’ And he said, ‘What do you mean?’ And I said, ‘You’re Miller, from Force 10 of Navarone, forget the Jackal you were that, and then you were the commander in a Bridge Too Far.’ I was crying by the time I told him this. Because I remembered the moments I’ve sat with my dad, watching the Sunday afternoon war films – A Bridge Too Far and all the other films that he was in. I knew that day, that he had been paid to come in a play a corpse. Who goes in to play a corpse, who is an amazing actor? The woman who was doing my hair was saying to me, ‘Edward was so humble to know that he met you. He was so grateful to meet you.’ It was ‘Wow!’ Surreal! You can understand that when I said to you about my childhood, the happy times: no hurt, no naughtiness, just sat with the people who have adopted you watching a war film and Edward Fox comes in and sits with you and you just think about the memory with your dad. DB: So clearly having a real love for film and TV shows is another reason why, when the opportunity arose, you’ve taken it. DB: Because rugby players are never like that, are they! DLB: They like taking the Mick but they will pay for it the next day! Also I wasn’t chasing my dream anymore. I think I was living it. I watched Dunkirk. Tom said 30 words, I think it is. DLB: I think the fact that Ridley Scott was involved, and he would have seen me on set, and words were that he was there, I’m not sure, he would be rushed around but we wouldn’t be told, you wouldn’t even click that he was there. To be associated with and employed by Scott Free is also massive, on your first ever gig. To be honest, the way that Nolan has done Dunkirk he would be good to work with. Stephen Knight (writer of Peaky Blinders & Taboo) he’s part of the ambassador thing with Acorns Trust, which I’m part of – because it’s a Worcester-based charity – he would be really good. I’ve watched episodes of Peaky (Blinders), I watched some of the bits on that – I think there’s some very good stuff and some very dark stuff. To me – directors – finding someone who is passionate to bring it out is the most important thing. DB: Away from sport, acting, screenwriting: are there other things you feel strongly about? DLB: I tell every child, or every person out in the world, the first challenge you face in life, is with yourself and you will never be a failure if you keep trying. I just believe that everybody deserves an opportunity to shine in anything they do. You don’t know when things are going to stop. You don’t know when things are going to come to an end, so you must enjoy your life to the full and you’ve only failed when you’ve stopped trying to do those things. I try to live day-by-day as well, to the fullest. DB: Are there any songs, or pieces of music, from your childhood that particularly stand out to you? DLB: Any war film tune, funnily enough. From Bridge Too Far to D-Day: The Longest Day, Kelly’s Heroes – the tune at the end. ‘90s humming away John Williams, Star Wars. But I’m from Worcestershire…Edward Elgar! A bit of classical gives me goose bumps. I’ve got on my I-player the Olympic fanfare, to remind me about the competitive edge – I make kids sit and listen to that and then I say to them, ‘This is from the Olympics. This is what athletes listen to.’ Classical and movie themes have been massive to me. When we’re driving back from rugby sometimes they have the ‘Film Classic Hour’ on Radio 4 and I’m driving, humming away to those old tunes that reflect my childhood. Those are what put me into a better place in life. Gladiator, the music from Gladiator: my mum was buried to the music of Gladiator – the bit where they carry Russell out on their shields – very, very emotional moment, when my mum was carried out of the church to that. For the first time ever they had to duck, because I had all my International kids that I taught bringing my mum in. Being a break dancer, in the ‘80s, as a kid. Being the only coloured boy in the village, having the break dance music gives me goosebumps to remember happy times. Funny stuff being mixed-race but having to listen to white music from the rock or the various pop groups from Spandau Ballet to The Cult and The Cure, being influenced by those, even though I was a coloured kid and I should have been listening to reggae or whatever – but I was brought up in an white family. DB: What was the first single or album you ever bought? DLB: KC and The Sunshine Band “Give It Up” and Adam and the Ants “Prince Charming”. I even went to a social club party – a CB radio party! Mum had made me some wiggy bits made out of black wool so we made tassels, and I had hair then, little coloured bits, made my armour out of cardboard (pretty artistic with sellotape and silver foil) and I went in as Adam and the Ants’ Prince Charming! KC and The Sunshine Band: yellow case, single, 45 rpm. The Monkees: I used to have my parents’ old records from The Monkees. I remember they actually bought me, from Woolworths, John Travolta and Olivia Newton John, “Summer Loving”. Remember going to Woolworths because pick ‘n’ mix was too expensive at the cinema? And your mum would say, ‘Don’t have the fudge. It weighs too much!’ (Both laugh). My mum and dad did everything for me and I’m very grateful for that. DB: What are your favourite genres or types of music? DLB: Original Hip Hop: not the new stuff, the old school stuff because, being coloured, I had to rap didn’t I! Basketball had a massive influence again: music and sport. So I’d be on the basketball court in front of 3,000 people thinking, ‘Oh’ (because they didn’t know I wasn’t black, I just looked black). Acid jazz, soul, funk, groove music. Groups like The Brand New Heavies, Loose Ends: I keep listening to them. DB: Do you have any favourite musicians or bands? DLB: I think The Brand New Heavies band, the acid jazz group, because of those times and memories. Climie Fisher, Level 42, those sort of real music. Being a rugby player you can’t not like “Wonderwall” from Oasis: that always gets the goosebumps up because that song from ’95 but then in ’97 they got The Lions all singing it! DB: Do you ever go to live music gigs? DLB: That’s on my bucket list this year! I did quite a few when I was playing rugby abroad and you get to go to concerts because there’s nothing else going on. I like the Hispanic music when it’s being played on the guitar; I spent a lot of time in my childhood, with my parents, there [Spain]. I think that Spanish music has had a massive influence on me as well. So it’s on my bucket list before I’m 50. We just went to the Feel Good Festival in Rochdale, Razorlight headlined and it was really great. DB: What’s the best live music gig you’ve ever been to? DLB: The Brand New Heavies, because they were playing in 2009 or 2010 in Aldershot, in a small civic hall, and I hadn’t seen them since the ‘90s and I went in there, with my brother, and we were dancing around and singing at the top of our voices and just loving it! DB: If there’s an opportunity to dance, when music’s on, will you be one who gets up and dances or will you stay away from the dance floor? DLB: I’m a former break dancer! This is what Oona [Chaplin] heard when we were on set: the music and I’m dancing. You opened up my trailer door – and we had the drivers for the trailers, the security, dancing in my trailer. I can dance. A lot of guys can’t dance. The dancing, the rhythm and I think that’s from years of breakdancing. I taught street dancing at school as well. DB: What’s your favourite word? DLB: ‘Pardon’. Because I’m telling anyone who says, ‘What?’, ‘ Pardon.’ I think I say it more than anything in the world now. DB: Can you describe your perfect day? DLB: It probably involves sport and sun – with my best selection of music on. Dubai: I love Dubai. It’s just nice to wake up and the sun’s beaming through the window, the window’s open, you’ve got white sheets on the bed, bit of music on and you can stay there and have no issues. As a child, I used to wake up on a Sunday to hear the next-door-neighbour-but-one singing at the top of his voice in the garden. He’d be on the roof, doing the roof, and he’d be chatting to my dad who’d be cutting the lawn at 8 a.m. in the morning. Who wakes up at 8 in the morning on a Sunday? And I’d have to get up for football… but the sun was shining. And I’m getting emotional now because, where we lived in Worcestershire was beautiful and our house was the first on that street built, bar the one next-door-but-one, and they became family friends and now they are buried side-by-side to each other as well – the two dads are. DLB: If I said it everyone would laugh. My phone, probably. It’s changed in life. I couldn’t live without my sport before my phone came: I used to have to play sport all the time. My phone got broken for 4 or 5 days, so I just used my iPad, and I was just fretting, fretting, because so much work and time has gone through my phone. I think gratitude pops in there as well sometimes because I love what I do but people don’t always appreciate it. A bit of appreciation, a ‘thank you’ goes a long way, further than a phone battery life.